As income inequality continues to rise and more people fall into poverty, or near poverty, innocent children bear the brunt. 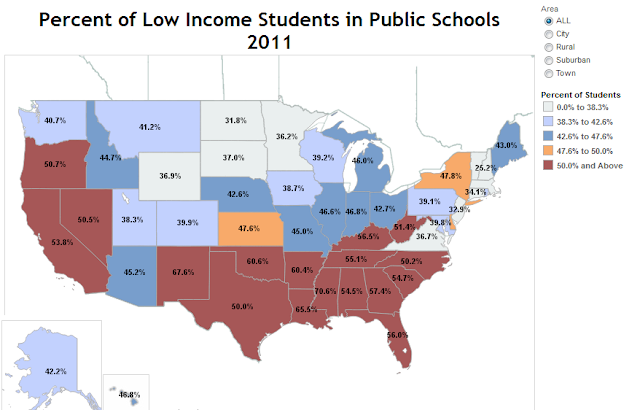 According to a new study by the Southern Education Foundation (SEF), "A New Majority: Low Income Students in the South and the Nation", "low income children are a majority of students in the public schools of 17 states across the nation - and 13 of those states are in the South. 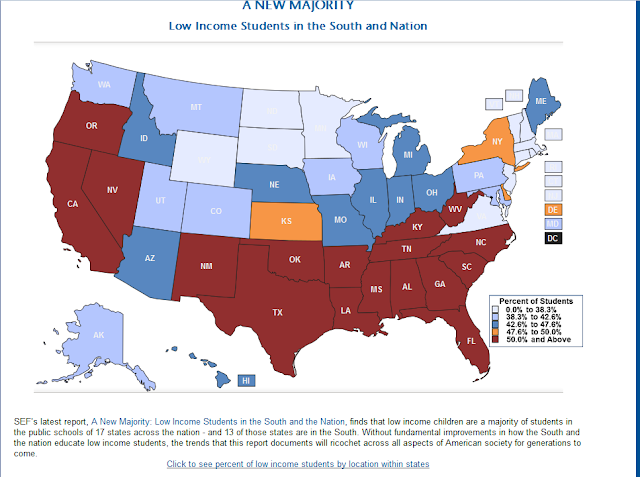 Without fundamental improvements in how the South and the nation educate low income students, the trends that this report documents will ricochet across all aspects of American society for generations to come." Unfortunately, problems faced by children coming from households where poverty is a daily fact of life are only exacerbated by conditions in schools that are severely lacking funds, as in the Philadelphia school district, where they suffer from a $304 million deficit--where thousands of staff and teacher positions have already been eliminated in recent years--which threatens to devastate Philadelphia, putting its school children in harm's way. 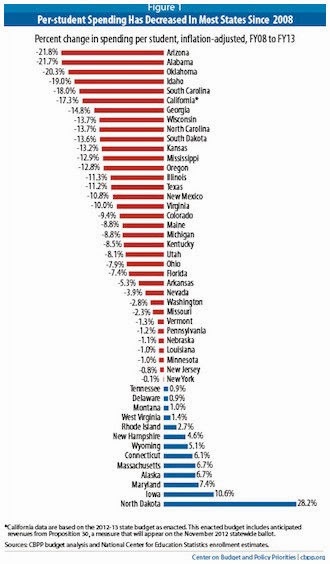 The state aid cut has devastated Philadelphia. Tens of neighborhood schools closed. Class sizes of 30 or more. No art, music and physical education. Librarians and support staff gone. A handful of high school guidance counselors left with astronomical case loads. Children are now in harm's way from the loss of school nurses, social workers and security personnel. The Governor's aid cut has transformed Philadelphia into an education wasteland, consigning students to schools without the most basic resources."